Orkney FC celebrate after lifting the Jock Mackay Cup for the first time. 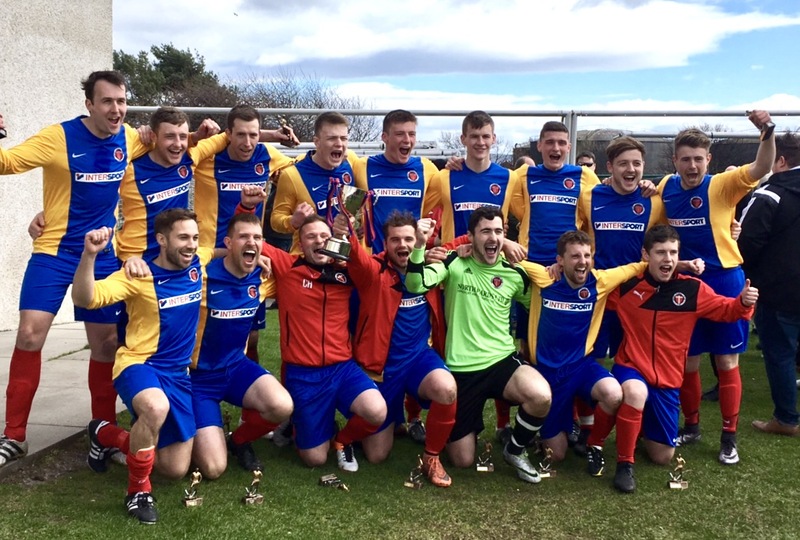 Orkney FC lifted the Jock Mackay Cup for the first time after beating Tain St. Duthus on penalties. After Mark Berry spurned the opportunity to win the cup with his spotkick, it took a Tain miss to win the shootout 2-1. Tain had opened the scoring midway through the first half of what was a scrappy game. Man of the Match Kyle Drever hit back on 70 minutes however, firing the ball into the top corner on the rebound.